French songs - Some of them TOP FIVE HITS in the 70'S - worldwide. 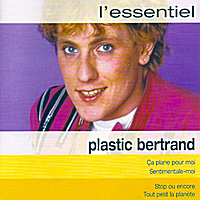 Plastic Bertrand's "Ca plane pour moi" was a worldwide hit in the late 70's. Has been used in several well known movies, TV series and advertisings. All the other songs on this album received great attention and success.